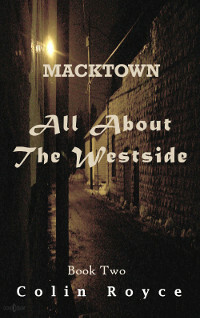 Macktown was on its way to 1981. New power ruled the country with more power and new rules, and times were about to change drastically for both ends of the social and economic spectrum. The fortitude of the city's leadership would be put to the test and their ability to maintain control of its citizens was going to be challenged also. A new generation emerged and trends and fads changed with the times. Gone were the days of leaving the front door unlocked and the kids playing safely outside; more communities went on watch and families were redefined. In the decade to come, the dream would fade away for those who could not make the grade and the pie would become harder to get a piece of.